Simplify your eyeshadow with the Eye Shade Blend Duo set from Real Techniques. 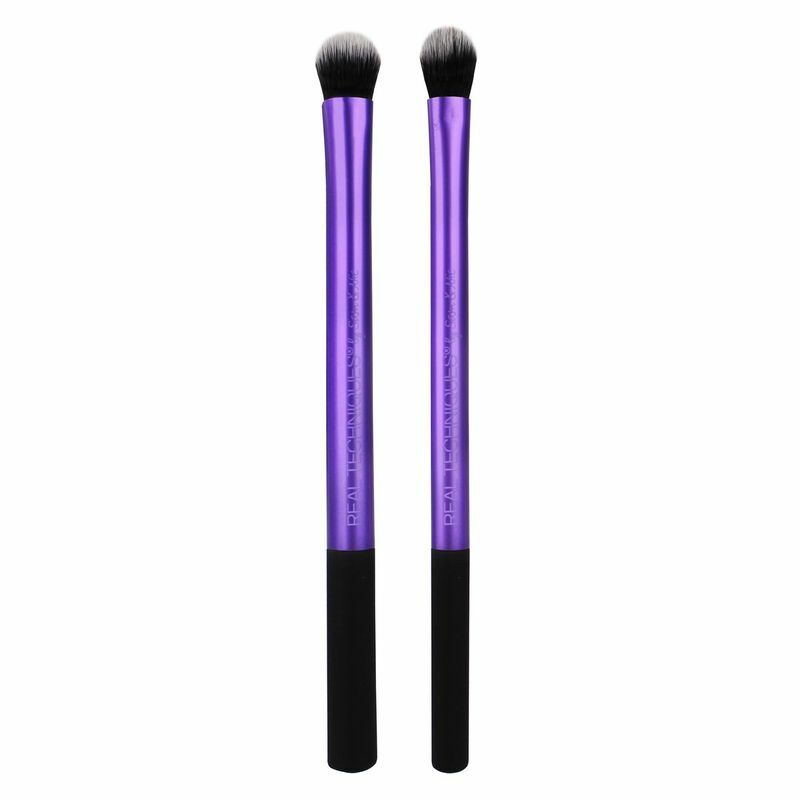 The eye shade blend brushes are designed for easy two-colour shadow application. 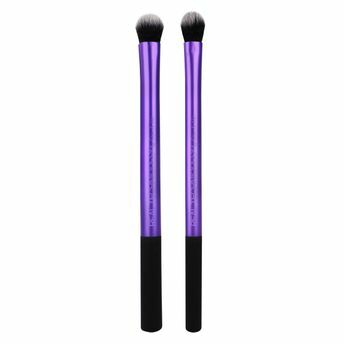 It can be used with powder or cream shadows. The synthetic bristles are custom-cut, easy to clean & 100% cruelty-free. Extended aluminium ferrules are lightweight, easy to use & colour coded. Base Shadow Brush: Finely tapered bristles allow for buildable, all-over lid application of colour. Deluxe Crease Brush: The soft, oversized design is perfect for effortless blending in the crease.